A standard in rewinders that is compatible with printers from SATO and other manufacturers. 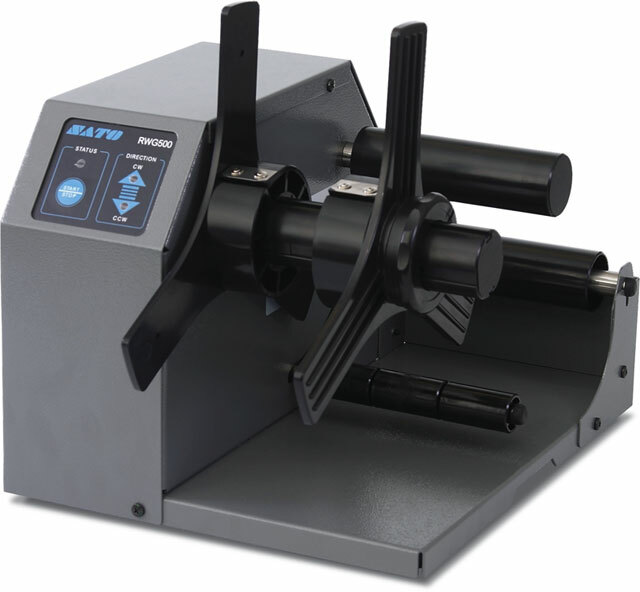 This Label Rewinder is ideal for batch printing applications and accommodates label rolls up to 5 inch wide (optional 7 inch extension available) with roll O.D. of up to 8 inch. It can be self-powered with an optional external power module. The SATO WWRW55300 is also known as SAT-WWRW55300	.